What else is Obama planning if he wins reelection? One of the most stupid proposals ever made by a president. 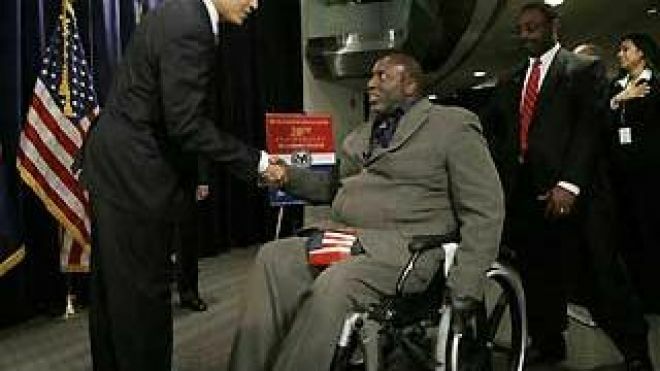 Bad press, including major mockery of the play by comedian Jon Stewart, led to President Obama abandoning his proposal to require veterans carry private health insurance to cover the estimated $540 billion annual cost to the federal government of treatment for injuries to military personnel received during their tours on active duty. The President admitted that he was puzzled by the magnitude of the opposition to his proposal. Click here for more info on the insane proposal to make our soldiers pay for their war wounds. Forget scoops and fact check. They are own by lefties and spin the facts like pros.